Excellent rental properties in Glasgow's West End. Lanes Lettings specialises in the letting and day to day management of a portfolio of properties across Glasgow. 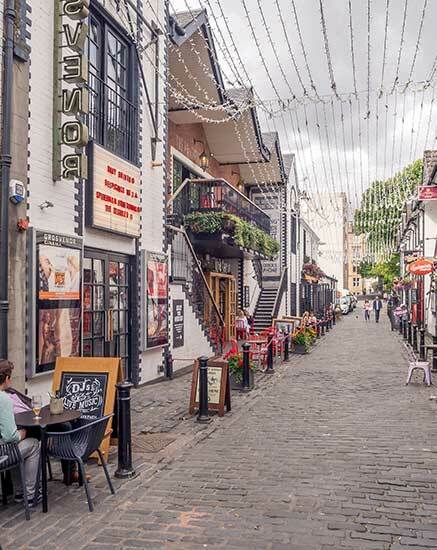 We are a market leader in the letting of West End properties each within minutes walk and easy reach of Glasgow University and the amenities of Byres Road. As we are one of the West End's largest HMO licence holder we can guarantee that our portfolio includes high quality accommodation that fully complies with all legislation requirements, ideal for those looking for student accommodation or large family flats. Whether you're searching for a studio flat or a five bedroom tenement flat, Lanes Lettings will be able to assist you. As every one of our properties is owned by us, we are different from all other management agents and letting firms in that there is no middle man and our tenants always deal directly with their landlord. Having traded for over 35 years, we pride ourselves in providing a fast, friendly and efficient service from initial enquiry start to the end of a tenancy. All of our properties are maintained to a high standard for your peace of mind. However, if any thing does crop up, our in-house maintenance and repair team provide a 24 hour report and prompt repair service. Interested in renting one of our properties? If you're interested in renting one of our properties, please get in touch and we'll be delighted to assist.